I am assuming that you have already chosen a theme. If you haven’t, then you have homework to do! To start blogging with WordPress, you need to log in to the back office of WordPress through your hosting providers dashboard. By back office, I mean the WordPress administration area of your website. In the top right corner you will see “Howdy, Admin” and if you click where the photo of you should be, it will give you the option of editing your profile. You can choose a color scheme if you want, and lower down you will see the option to “change your profile picture with Gravatar”. If you want to add a photo to your admin area, you will be asked to make an account with Gravatar, where you can then upload photos. I have one Gravatar photo for my admin account and a different photo of me for my Irma account, which is also the photo you will see of yourself in your posts comments. You only need Gravatar for this purpose. Be sure to write down any passwords associated with the things you are doing. I would suggest that you create a second user account with your name, or else all of your posts will show up on your website as written by “admin”. Do this by going to the left sidebar and choosing USERS > ADD NEW. Assign yourself as an “author”, fill in the blanks, choose a password and then “Send the new user an email about their account”. Click the ADD NEW USER button and then check your email so you can log back in as you! If you have not already, go ahead and add any plugins before getting started. I suggest some kind of SEO plugin like All-In-One SEO Pack, as well as EWWW Image Optimizer, and Akismet Anti-Spam. You can switch them out later for whatever you like, but for now it is good to have a few and these all work well, but be sure to check that they work with your theme, as not all of them work for every theme. You will likely be asked to update any plugins that you add, and you should plan on doing this task first anytime you login to your admin area and see a notification for this. Try not to overload your site with plugins. It is tempting to try many, but too many will slow down site speed. PIN IT! 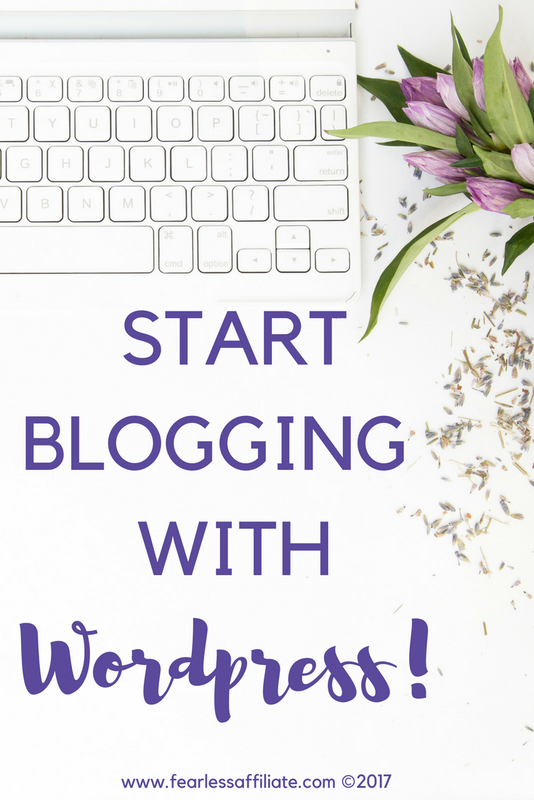 Start Blogging with WordPress! Pages and posts, which are which? Posts are a type of sub-page or “child”page, and are usually written on a schedule of some kind, and published on the blog roll or home page of your website. 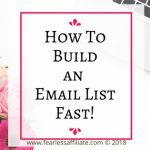 Most of the differences between pages and posts will be more evident when you are writing out your posts and pages, as pages have fewer Page Attributes. While we are talking about this, go to the left menu and choose Appearance > Menu. 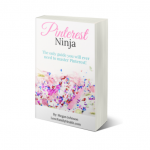 Here you will be able to see the tree-like structure of your pages and posts as you build out your site. Go ahead and name your menu (I chose to name mine MAIN). As you create pages and posts, you will come back here and drag and drop them appropriately, and then choose SAVE MENU. 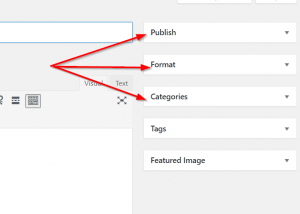 Your WordPress blog came with a default page in the theme of your choice, that shows you what the theme looks like in real life and you can see this if you go to the top left and right click on the drop down under the name of your blog. Choose to open in a new tab, and there is your website with all of its dummy content. You will see a post called “Hello World”; the name of your blog and “Just another WordPress site” written underneath. This is a good time to change themes if you are now not liking the look of your site. This is as simple as going to Appearance > Themes and choosing a new one. WordPress has hundreds of them, free and Pro versions. Choose Page > All Pages from the left side menu. Click your sample page and then just above or below, the Bulk Actions has a drop down menu – choose Move to Trash, and then Apply. Go ahead and create a page now and name it Home, and don’t forget to click publish! You can leave it blank for now and fill it in later. This is just a placeholder for now and can be edited later, however most websites have some kind of “home” page so that if visitors get lost, clicking home will take them to your latest post or the blog roll. That is our purpose for creating one today. Do the same thing for a post. This is just so that you can see what it looks like in real time. If you already have a post written up in a .doc on your computer, you can copy and paste it into the body of the post. 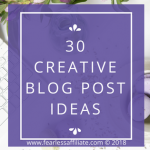 Choose an appropriate title for your blog post that matches the content inside. You can delete this later, before your site gets indexed by Google, Bing or Yahoo, but for now it is just so that you can see how things work, what they will look like in real life, and how the editing tools affect the finished post. I will be walking you through the steps of getting indexed with Google and Bing in another post. WordPress comes with a few editing tools built in. If you go to the far right of the toolbar, you will see the “kitchen sink” icon. Click it and it will give you a second row of editing tools. These tools are basic but they get the job done. I made the mistake of using a plugin that gave me a whole bunch of MS Word editing options, but if you deactivate the plugin later, your posts can look strange, so it is best just to work with what you have until you understand the process better, and know which plugins are worth keeping. DO NOT PUBLISH YOUR POST UNTIL YOU ARE FINISHED WITH IT! You can choose the Save Draft option, and then Preview if you want to see how it looks in your website. Be sure to do all of the editing before you publish. Just like with your title, once you publish it, it can take a while for changes to take effect on the internet. 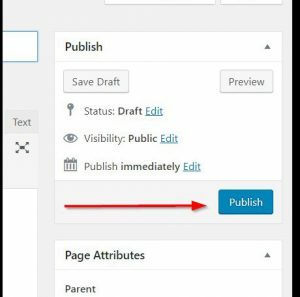 First, if you are using some kind of SEO plugin and you are still in the text editor part of WordPress, you can edit the Meta data of your post. Meta is, at least as far as blogging goes, the data added on to other data. If you search on the internet, your results page usually shows you a blog post title and the name of the website. Under that is what is called the “meta description”, a snippet of information about the post. Using an SEO plugin allows you to edit that information. If you do not edit it yourself, Google will go ahead and create a snippet from whatever it deems the post is about. You may be okay with Google doing that, but if you are not you need a plugin so that you can edit it yourself. I have been reading that Google may rank you better if you let them decide on your meta description. You can test this theory over time and decide for yourself. Editing the meta data from older posts can be a tedious task, so if you get into the habit of doing it from the start, you will not have to fix it later. 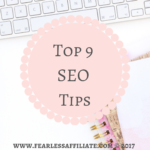 You will want to check to make sure that the blog post title matches the title listed in the SEO area. And make sure that the title that you choose matches the information in the post. 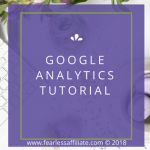 If Google thinks that you are creating a juicy title to entice readers to come to your site, only to be offered information that is not relevant they can penalize you by sending your post to the bottom of the search rankings. 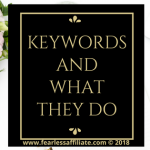 Use keywords effectively. Do not copy your posts from others as duplicate content will also send you to the bottom of the rankings because it is likely that the original content has a spot in the rankings, so yours is automatically the duplicate. I hope this post has been helpful. 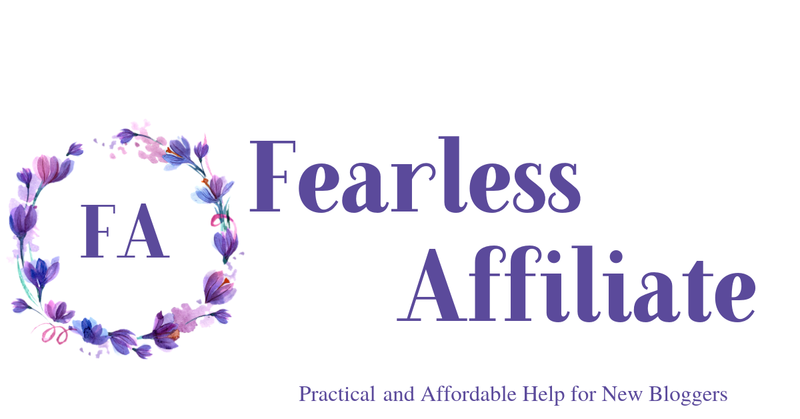 WordPress has a learning curve, but you will be a pro in no time! 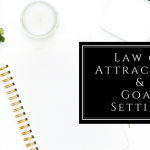 Writing content for your blog is the most important aspect, so you will get to know your back office of WordPress intimately in the coming months! 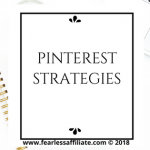 Please share this post with anyone that you think can benefit from it and follow me on Pinterest! I like your point about duplicate content. Too many people think they can rank high and earn money from copy and pasting, when this is simply not the case. 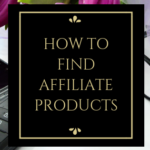 Thanks for pointing that out, I’m sure many newbie marketers will find this article helpful. Hello Brandon, and thank you for stopping by! I agree. 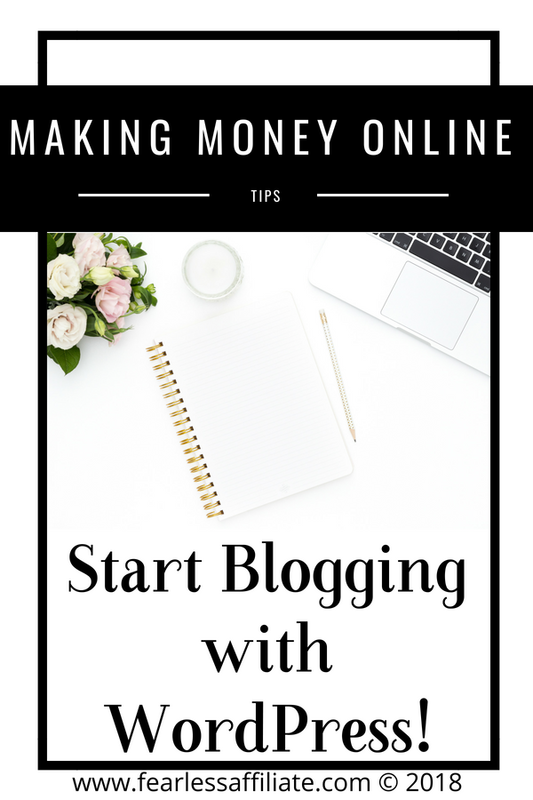 Some of the newbies to blogging may not be serious about being in it for the long haul and may be tempted to “cheat” a bit by copying. However, there is so much information on the internet about absolutely everything, and combined with a personal passion about whatever the niche is, should make it easy enough to create original content. Hello, and thanks a million for sharing your post is really educational and enlighten and will really help your readers to understand wordpress. Tons of awesome information and very detailed. Hello Norman, and thank you for stopping by! What were you trying to say “I have been reading that Google may rank you better if you them decide on your meta description”? Hi Max and thank you for pointing that out. I have fixed it! What I was trying to say is that letting Google decide what the meta description should be may cause a better rank for the post, since Google is the authority in this. Thanks for that information it was never clear to me what was the better option. It is still up to you. If you want Google to rank you for a specific keyword, then do the SEO steps to achieve this. 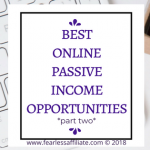 However, I have read of people being ranked for other keywords in their post, keywords that they were NOT targeting, as well as ranking at the #1 spot for this other keyword. So what does that mean? It means that any of the words in our posts can potentially be keywords and you can rank for any of them! This is certainly something to think about. I am going to try this with my next review post, and see how long it takes to get ranked and where I end up amongst the competition. 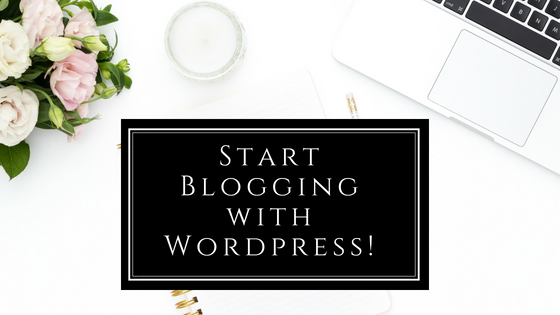 I’ve been using WordPress for years now and it’s the most amazing platforms for blogs and general websites. It may be a bit daunting to get use to the interface at first, but once you pick it up it’s so natural to use and well set out. The SEO plugins are so useful for getting ranked on Google. Hello Vince and thank you for stopping by! I agree, and I suppose that is why it is so popular. It is also a very stable platform, and there are constant updates for plugins, themes, and the platform in general. You talked about image optimizing and I already do it but should I need to compress images before I upload my site? I believe that can help even further. What do you think about it? Hello Furkan, and thank you for stopping by! I would not think that you need to do anything to images prior to uploading. EWWW IO does all the work for us, while increasing page speed. It also saves you storage space and bandwidth, and it will convert your images to the best file format. And you can optimize images that you uploaded prior to using EWWW IO.